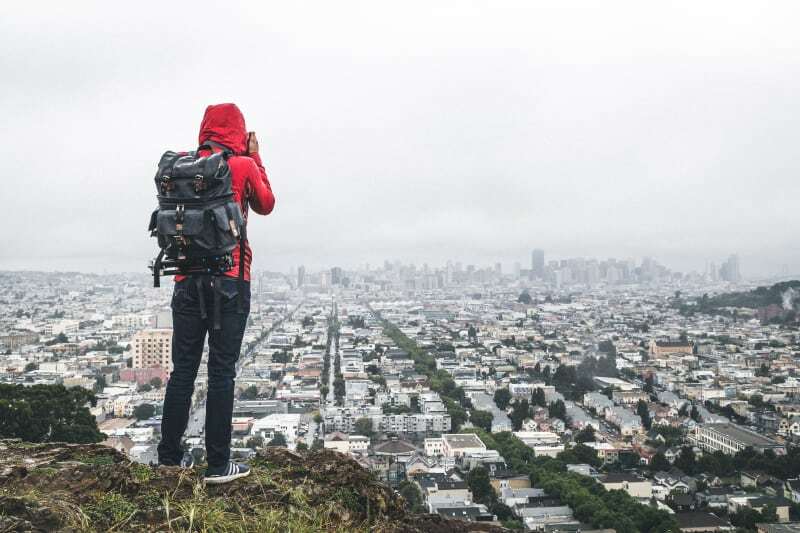 7 Travel Tips for first time backpackers. First time back packer? Here’s 7 (ish) travel tips! Setting off on your first trip as an independent traveller? Maybe you’re going with a friend or partner. Well, first things first, read our 7 (ish) travel tips for backpackers and get that trip off to a good start before you even board the first plane. In terms of footwear, there’s lots to consider. For example, if you are trekking through rainforest, then you might think that waterproof footwear might be the safest – and while that might be the right choice for damp Irish days on the hills, rainforests are very humid and the rainshowers are very heavy. This can mean that your feet overheat while walking, and rainwater can potentially run down your super wet legs and directly into your shoes. We would recommend a well vented trek shoe from Merrell or Columbia or a closed toe sandal from Keen or a more traditional one from Teva. where you’re going. Do some research on the weather for the time of year, and when picking your outfits, be mindful of fabrics that wash well – washing clothes is not only a western world thing. mosquito repellents, take a look at the Craghoppers Nosilife range. Also, be aware that long sleeve/leg clothing is not just for protecting against sunburn, but leeches and ticks too, especially on jungle or swamp treks. Never discount the usefulness of a bandana or a neck tube, we would recommend Buff ourselves. Wear it to keep the sun off your head/neck or just to mop the sweat off your brow, a fine multi-functional piece of kit indeed! 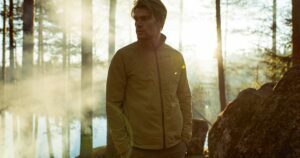 For wet weather, you might be tempted to opt for the most breathable of fabrics, but bear in mind that they work best when the air inside your jacket is warmer than the air outside. They don’t usually have much success in warm/humid climates. In fact, a poncho and quick drying clothing would be a better combination. Cold weather – The most important aspect of being outdoors in cold weather is layering. Bring one outer layer that is suitably warm for where you’re going, (ie jacket and lined trousers) and then one mid layer, (ie fleece/light insulation). Use synthetic or wool tops/tees/shirts as layers underneath. Bring a couple of comfortable base layers, as these are the ones that will need changing/cleaning the most. There’s lots of choice to suit all types of budgets, but the most important factor to consider when choosing clothes for colder climates is, “does it contain cotton?”. Cotton is a no no when it comes to keeping warm. Cotton likes to hold onto moisture – just think about how your bath towel gets more wet while you get more dry. Now, think what a cotton polo neck would do to your warm, insulating and wicking layers whilst being active out in the cold. That’s it, everything grinds to a halt. We would recommend wool layers like those from Icebreaker or synthetic “Lifa” layers from Helly Hansen. There’s so many technologies out there for savvy backpackers to embrace, and besides, who doesn’t love a bit of science? Just like in Douglas Adams Hitch-hiker’s guide books, the best piece of advice we can give is to always carry a towel. If you plan to trek a lot, then best to carry two. You wouldn’t want to need the same towel to do your face and feet now would you? Just saying! Wash Kit: shampoo, toothbrush, toothpaste, deodorant, a razor, hand sanitiser/wet wipes and for the women just the basic make-up items. Make sure to keep it in a water-proof wash kit bag or a zip lock bag to keep it all safe. You don’t want any of these leaking into your bag. First Aid Kit: All backpackers should carry the following; plasters, lip balm with UV protection, appropriate sun cream, antiseptic cream/wipes & any other medicine that you currently take. If your travels are bringing you into a malaria zone, for us, deet is the only way to go. It prevents a mosquito bite developing into something worse than an itchy rash. There’s plenty of different strengths to suit most skin types, but do your research first to ensure that memories aren’t the only thing you take home from your tropical escape. If you’re trekking, iodine tablets (with taste remover) or Chlorine tablets to purify water are sometimes handy too. If you’re a couple it would be best practice to share a wash kit and medical kit. No point in doubling up on everything. If you’re sharing a hostel on your travels then ear plugs are a must! A travel sink plug is also a consideration, because not all hostel sinks come with one, and how else would you give your face a good wash? A cotton sleeper wouldn’t do any harm either, after all, when was the last time that hostel mattress got a good cleaning…? It’s also useful to also pack a small LED torch/headlamp, a universal travel plug adaptor and a money belt. Take colour photocopies of everything important. Certificate of all vaccinations, passports, traveller cheque numbers, travel insurance, drivers licence etc. Save them on your mobile device and keep photocopied versions safe in your money wallet, it’s always handy to upload them to an online service that will let you access them from other PCs, sites such as Google Drive, Dropbox and iCloud are good or just email them to yourself with easily searchable subject lines. You’re going away to try new things so there’s no point bringing all your things along. Clever backpackers know that a week sightseeing shouldn’t need an 80litre rucksack. Try a smaller bag, discipline yourself to pack for carry on. No more checking loads of bags in or hanging around at carousels when you’ve landed. Packing TIP: Pack the things you will use often and need to access regularly, at the top, and the things you will hardly use at the bottom. If your pack is full it can be difficult to get to things without pulling other stuff out too, if not packed correctly. A daypack/small backpack or tote/shoulder bag is also a great idea. Just ensure it’s not big and rigid. It’s easier to pack if it’s flat and flexible. If you’re going to put locks on your bags, you know, for peace of mind and stuff, then use a TSA lock. They’re the ones that the airport security have special keys to open during bag checks. You wouldn’t want to buy a lock and then have the airport security bust it open or worse still, bust open your bag or case. One final tip – Travel insurance. Anything and everything can happen when travelling abroad, that’s all part of the allure, the danger, the excitement, and the experience. For a little bit more security, a travel insurance policy from a reliable insurer is definitely worth investing in. Many companies offer bespoke packages depending on your itinerary and there’s plenty of research that can be done online before settling on one that suits your needs and at the right price.